WTF It’s cubes and cubes and cubes. 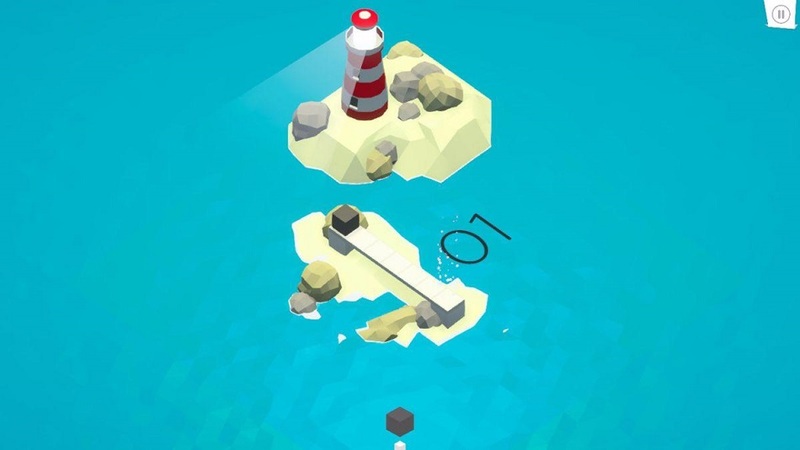 Skipper portrays itself as a tranquil puzzler that allows for laid-back brain teasing. 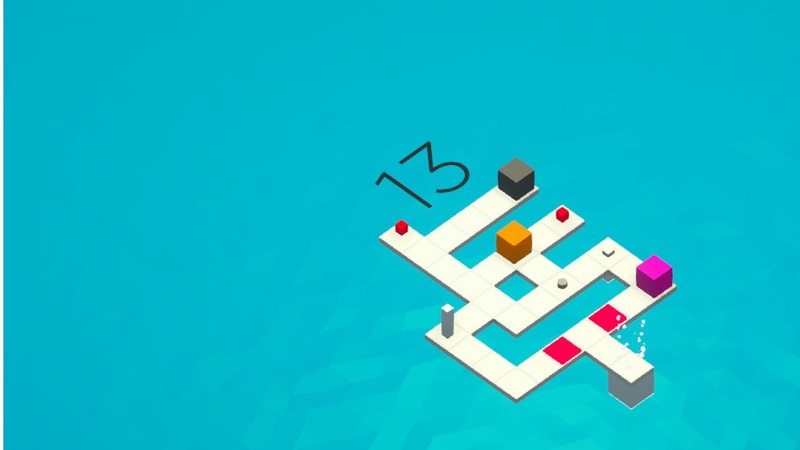 The colorful, low-poly visuals and melodic soundtrack lull the player into a false sense of security, especially as the opening challenges require nothing more than moving a black cube along a pathway to the sparkling exit. It’s only later as the levels fall away that the rug is pulled from underneath, and the player is required to think many steps ahead. One misstep or one erroneous button press will force a restart. A few levels in and there are more blocks to maneuver, and they each leave footprints corresponding to their color behind them. Now bear with me for a moment as I try to explain the mechanics — the player must collect a small red, blue or purple cube and carry it through specific areas of color in order to unlock the exit path. However, a black cube cannot retrace its own path, only cubes of a different color can move through. It sounds more complex than it truly is, and when actually playing, the concept is intuitive and interesting. Like any puzzle game, the enjoyment will come from the player’s natural ability to solve the problems. When things are going well, it’s a wonderful and beautiful way to tax the brain, but it can definitely become frustrating when the player makes one move too many, or doesn’t think things through quite far enough. I felt a bit of rage here and there, I must admit. Skipper certainly made me think outside the box. I usually feel confident in my puzzle-solving skills, but I was gnashing my teeth in frustration, not that the difficulty took anything away from my enjoyment. The learning curve is steep but rewarding, and while the devs don’t hand out medals for the effort, the relief of finally solving a situation is enough. It’s certainly a game that begs for one more minute, and I found myself going back often, especially as friends got involved over my shoulder. We’d collectively groan at each other’s mistakes, or share high fives when we’d snagged the answer. Playing together gave the game an extra layer of joy, but it kept my focus when playing solo as well. Disclosures: This game is developed and published by 2xMilk. It is currently available on PC, iPhone and iPad. This copy of the game was provided by the publisher and reviewed on PC. 2 hours of play were devoted to the game and it was completed (with the help of friends!). There is no multiplayer mode. Parents: This game was not rated by the ESRB but it’s very innocent game with no story, violence or bad language. My guess is that it would be a solid E.
Deaf & Hard of Hearing Gamers: The sound and music have no bearing on the gameplay. Playing with no sound does not affect the enjoyment of the game. It’s fully accessible. Remappable controls: The key bindings cannot be changed, but there are several control schemes including use of a controller. Colorblind mode: There are no colorblind modes available.